After two short months, I am back to work. Can you believe how fast that went? 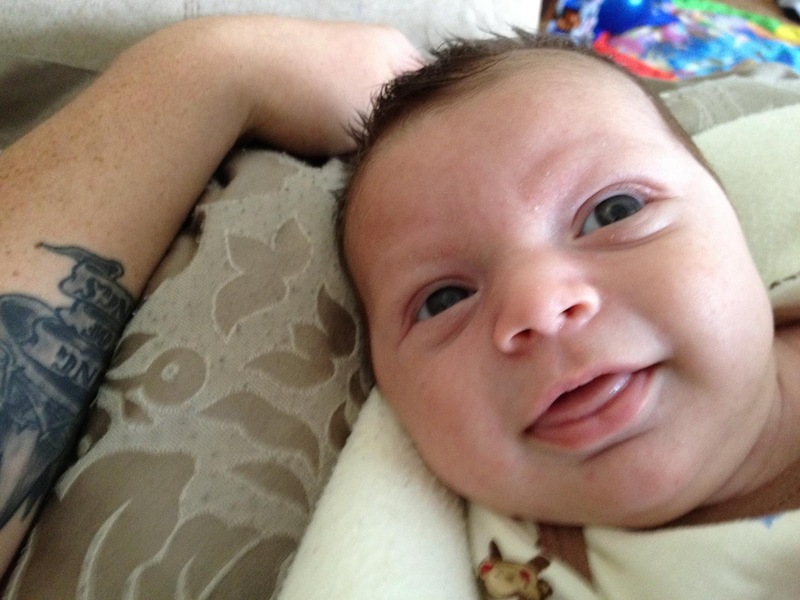 Ronin is 7 weeks old already!! I have to admit, I was starting to get used to being a stay at home mom again. I was starting to thoroughly enjoy it. I was just starting to get into the swing of things and be able to manage Ronin and Keegan and plan some fun activities. And now, I'm back to work. We took Ronin to daycare twice last week, for 2-3 hours to let him get used to it. Today is his first full day, I'm a little worried, but I'm just up the road if anything happens. Needless to say, I'm missing my babies already! Look at them, How could I not miss them? P.S. 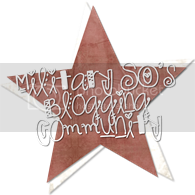 A few weeks ago I won a giveaway from Nicole at Flip Flop and Combat Boots! First giveawy I've ever won, I was so excited!! So I ordered these Christmas cards. Crossing my fingers that I find them in my mailbox today! P.S.S. Don't Forget to enter this Giveaway! 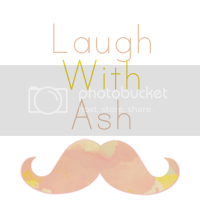 And expect another giveaway soon, because Laugh with Ash hit 100 FOLLOWERS last week!! woohoo!! I still wish I could be a stay-at-home-mom and all my kids are over 14! It's not easy, but as moms we just do whatever is best for our babies. He is such a cutie. Thanks fr stopping by =) I'm sure I'll feel the same way when my kids get older. I'm such a sucker for them! What a cute photo of your boys. 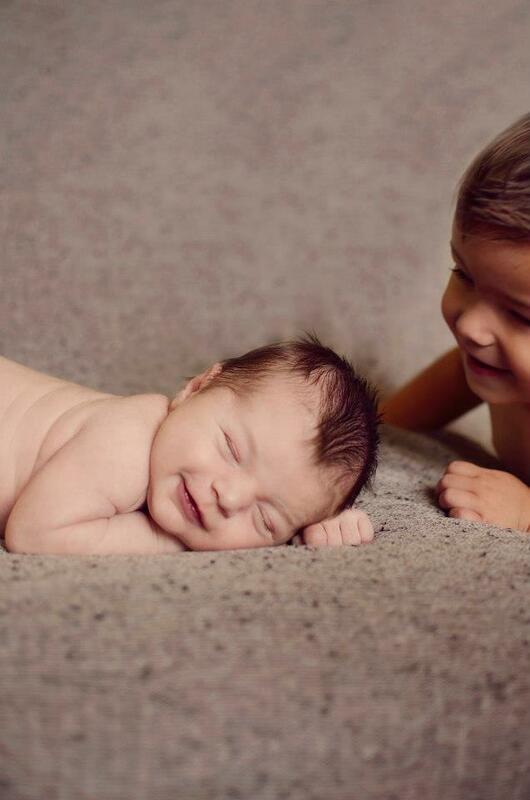 Isn't it incredible how fast they make it to 3 months? then 9, 12.... Hoping to hear that Ronin braved his first full day of daycare without a hitch. 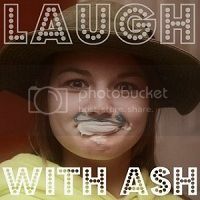 Thanks for linking up with me this week, Ash. It went well, although we already had a "we care" natice sent home. Apparently, they thought he was just all out relaxin with his arm over his head.. turns out he was sucking on his arm and gave himself a hickey! It is ridiculous how fast they grow! Ronin already two months!! I feel like I just pooped him out yesterday! 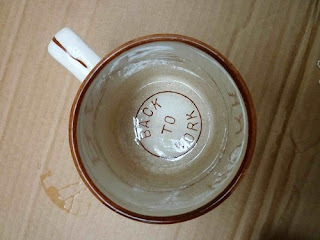 I have a coffee cup like that! !